Ideal for training or bag work, these durable polyurethane boxing gloves feature mesh palms for breathability and an attached thumb to ensure proper thumb placement. Hook-and-loop wrist closures secure the gloves for non-stop training. In addition to other great features, these gloves can be customized with your school logo. Call Century at 1 (800) 626-2787 for more details and/or to order over the phone. 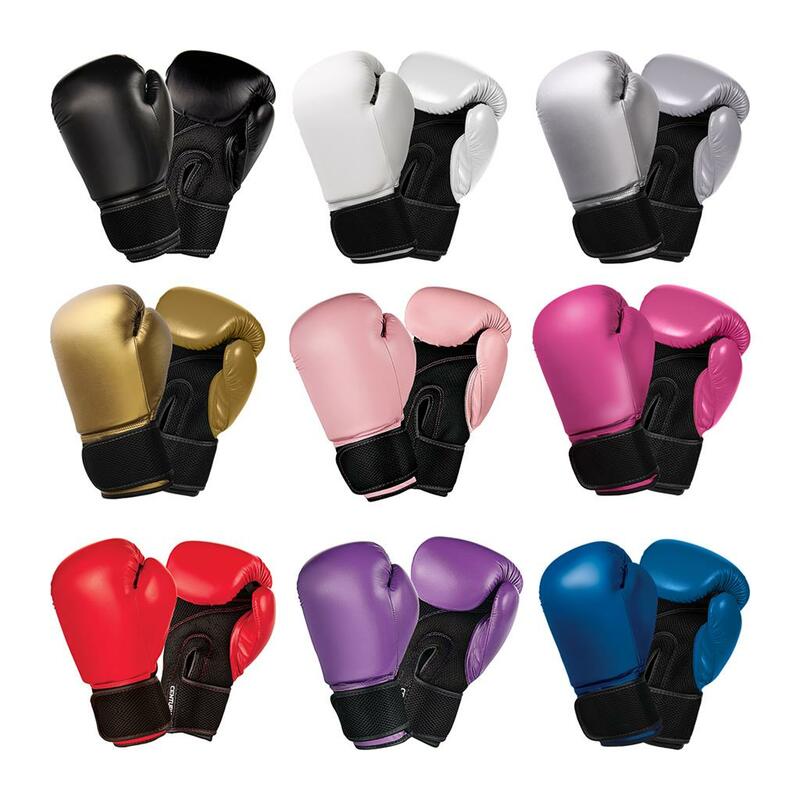 See other products in the 'Customizable Boxing Glove'category.